Information interviews are one-on-one meetings you can request (in person or online) to learn more about another person’s job, organization, sector and industry. This can be used as an effective tool for networking and part of a Canadian job search strategy. CanPrep recently organized a webinar on the topic “How-to Guide: Information Interviews.” In this blog post, we are responding to some of your frequently asked questions. What kind of questions can I ask during information interviews? Are there any specific training / education requirements to get into your line of work? What do you like most/ least about your work? What kind of problems do you typically deal with at work? Can you think of anyone else you can connect me to for additional information? As suggested in this Monster.ca article, the right questions can also open up opportunities you might not have thought of before. For example, you might learn about an internship opportunity at the company that can help you get your foot in the door, or it might open your eyes to a new skill you should learn in order to make yourself more marketable in that specific industry. What should I wear for the meeting (online or in person)? Research what outfit works for the specific industry. For example, if it is Banking industry – formal attire like a formal dress or tie and suit is the norm; dress code may be more casual in the information technology industry – so wear something more casual, jeans might even be acceptable! Be cognizant of the attire even if you are connecting with the employer online. Should I take my Resume to the information interview? The simple answer is – Yes! Although the intention of information interview is information gathering, go prepared. Introduce yourself with your elevator pitch and have your resume handy in case it comes up during the conversation. Remember you are also trying to make an impression here so do not ask for a job directly. 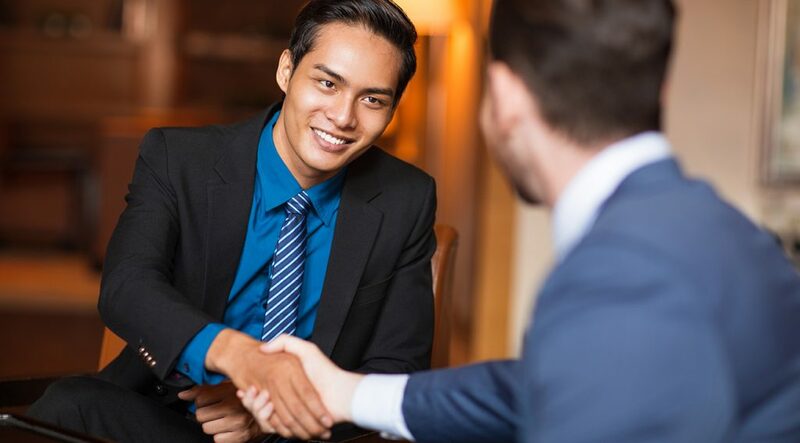 You can always include a line like “I’ll be happy if you consider me for any future job opportunities in your organization.” – in the thank you email after you meet with the person. Are there any don’ts that I should keep in mind? Don’t ramble on about yourself! Let the other person do the talking – engage them. What people remember is how you made them feel during a conversation, not what you said. Be strategic, ask relevant questions about their personal experiences. Research basic information. Don’t waste their time asking simple things that you can easily Google. Make sure you ask the right questions to the right individuals. For example, do not ask someone from Human Resources questions about Marketing. It will be a waste of their time and they’ll end up having a bad impression of you. Stick to the agreed upon time limit. If you asked them for a 20 minutes coffee, try not to exceed that time. Canadians are usually very polite and may not point out anything directly so be mindful of the person’s body language. If they are fidgeting / looking at their watch, at the end of the stipulated time, it usually means they are busy. I am an introvert. How do I handle information interviews? You don’t have to be an extrovert to network or conduct information interviews. You are not expected to be outgoing – but definitely polite and professional. If you are an introvert, being prepared and conducting research can work to your advantage. Make a list of your questions – use research to help make your questions interesting. Be genuine – it’s ok to mention to the other person that you are an introvert or shy during the conversation. You can also figure out a way to communicate this to the person you are interviewing prior to the meeting. They may also be introverts and might appreciate your honesty! Enjoy the interaction / experience. How do I keep in touch after an information interview? Networking is a long term investment. Make sure you follow-up after the meeting. A good thank you email can take you a long way. In the email, cover what your take away from the meeting was, reinforce what the person had committed to you (if they had agreed to send you information or connect you to someone). Ask if you can connect with them on LinkedIn. Once you connect with them on LinkedIn, stay in touch. Do I have to be present in-person for information interviews? No – you don’t have to be. Information interviews can be done via email, LinkedIn, Skype and other connectivity tools even before you arrive in Canada. Remember, when you are trying to connect on Skype, you may have to find a time convenient for an employer in a different time zone – within their work hours. You can get more pointers on information interviews at the JVS Toronto blog. Have a question you’d like answered in the CanPrep Blog? Contact sharvari.jois@jvstoronto.org. For more job search tips, register to talk to a CanPrep Employment Specialist.